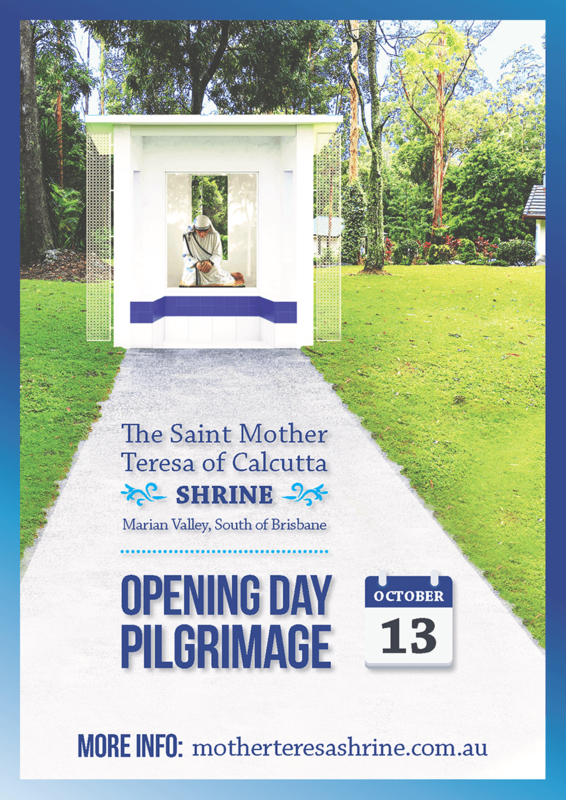 It's official - the opening of the new Mother Teresa Shrine at Marian Valley will be held on Saturday 13 October 2018. All are welcome to come and join in honouring this wonderful saint. The program begins at 9:00am with Morning Tea, followed by the procession to the Shrine, prayers and reflection at the Shrine, Holy Mass, and lunch, concluding around 1pm. You can then take time to wander around the Marian Valley grounds and visit the other chapels too. 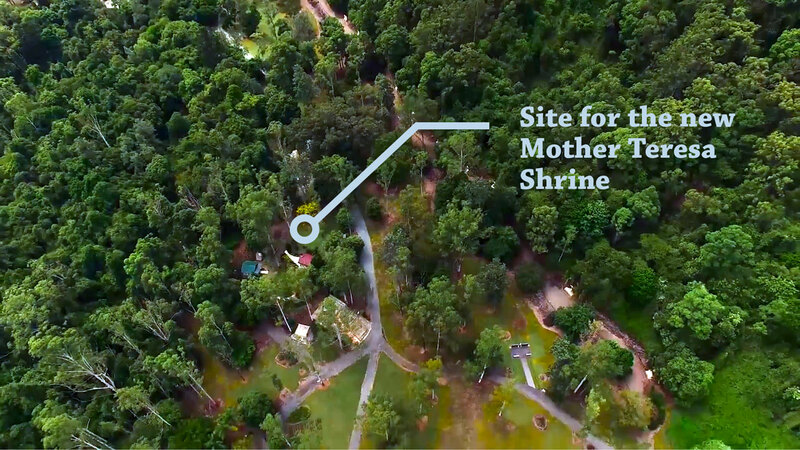 In the peaceful bushland surroundings at Marian Valley, just 1 hour south of Brisbane, a new saint is due to arrive on 13 October 2018. 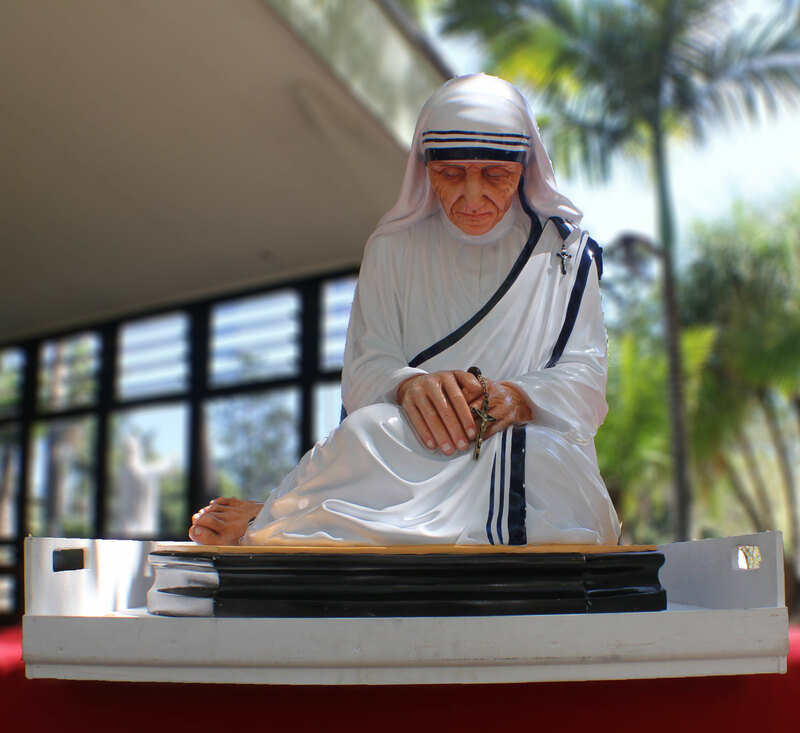 St Teresa of Calcutta – better known as Mother Teresa – is getting a shrine built for her, on a site that was blessed in November 2017. Construction started in early 2018 and is now completed, ready for the official opening on Saturday 13 October. All are welcome! Three good friends from different parishes across Brisbane had been making annual visits to Marian Valley together for several years, giving thanks for the year. The place is very special to them, as it is to so many others. One day they simply thought that they too could contribute something new to Marian Valley. And in discussing it at home, one of their wives suggested building a place for Mother Teresa. Together, these three families have spent 18 months planning, bringing their idea to life. Sign up to our email newsletter to be kept up to date. Are you interested in becoming a Weekend Host? The Shrine of Our Lady Help of Christians (aka Marian Valley) is home to many beautiful chapels, all donated by generous benefactors including different ethnic communities. It is a wonderful place for solitude, prayer and spiritual renewal. Here also you will find an awe-inspiring outdoor Stations of the Cross with lifesize statues along the way. All this is located in peaceful bushland surroundings, along with the main church is the Chapel of the Black Madonna, a retreat centre and pilgrims accommodation. For more information, visit the Marian Valley website. Construction began in early 2018. The Shrine itself is rather modest in design, to reflect the simplicity and humility of Mother Teresa. 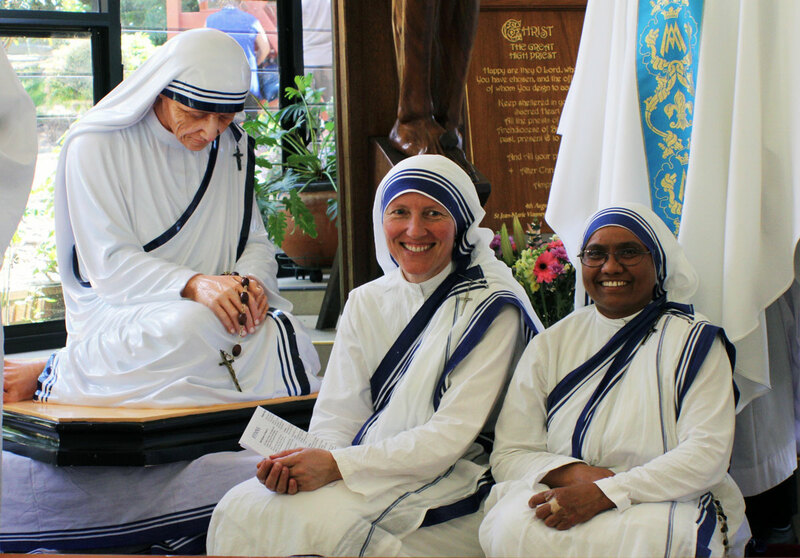 It is largely white, with some blue, in keeping with the three-striped white sari of the Missionaries of Charity. The statue was originally donated by the Missionaries of Charity in Sydney to the Pauline Fathers in Penrose Park, New South Wales. But there was no worthy place for the statue there. Saint Mother Teresa of Calcutta is known the world over and so many lives have been touched or changed by her. She was the founder of the Order of the Missionaries of Charity, a Roman Catholic congregation of women dedicated to helping the poor. Considered one of the 20th Century’s greatest humanitarians, she was canonised as Saint Teresa of Calcutta in 2016. 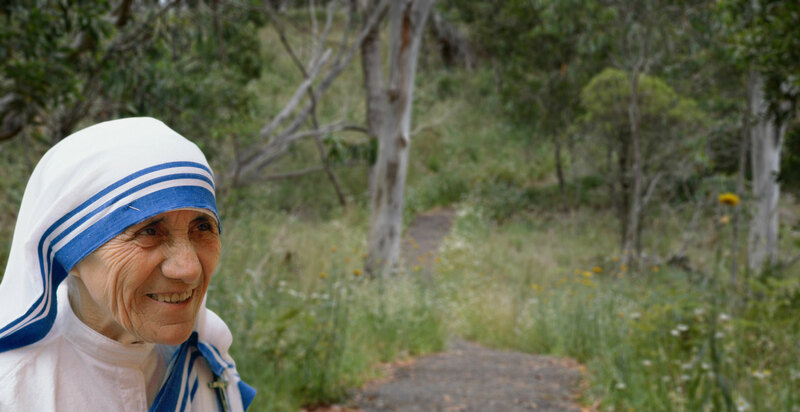 The Shrine will be a place where people can go to learn more about Mother Teresa whilst growing in their faith. To help this become a reality, the organising committee are looking for 52 families to each “host” Mother Teresa for one weekend a year at the Shrine. 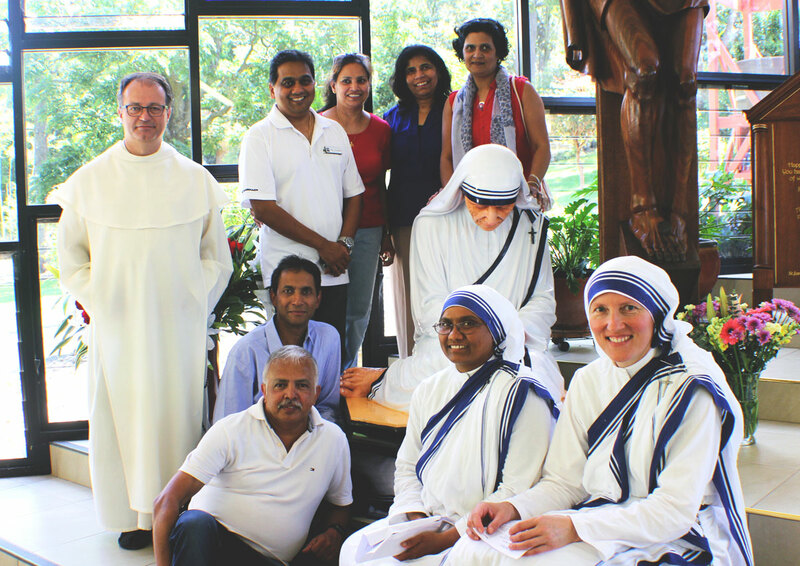 It’s a great opportunity to have an annual family mission or weekend away together to focus on faith, and to share the life and spirituality of Mother Teresa with others. 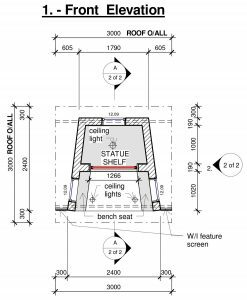 We would be most grateful for any financial support you can provide, to assist with the construction of the shrine. Donations are being managed by the Cleveland Catholic Parish – Star of the Sea.